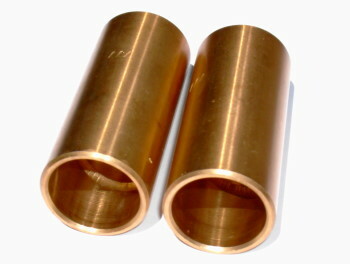 Metric Spring Eye Bushings - Spring Eye Metric Bronze Leaf Spring Bushings. Compare Our Metric Spring Eye Bushing Price With OEM Manufacturer. Our Spring Eye Bronze Bushings Are Exact Fit For Your Spring Eye Bushing Application. ATS Offers Two (2) Leaf Spring Eye Bushings In Our Kit, For The Price Of One (1) Leaf Spring Eye Bushing From The Dealer.